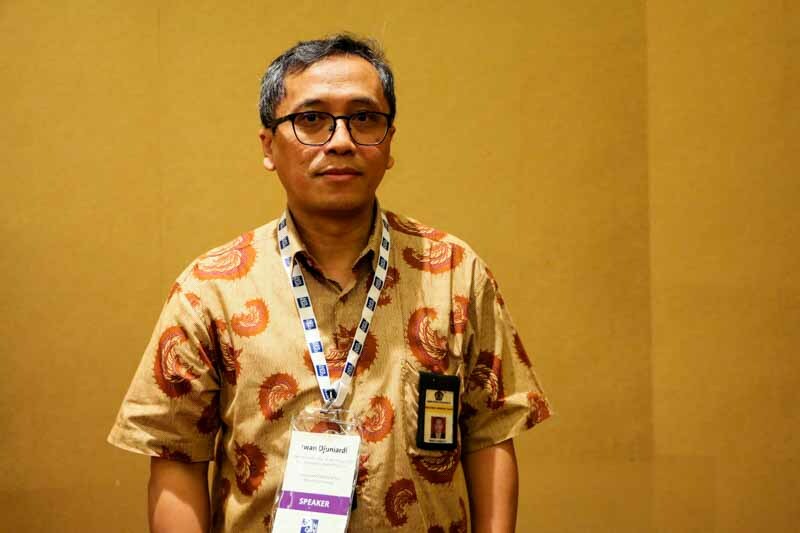 OpenGov met Iwan Djuniardi, Director of Information Technology and Communication Transformation, Directorate General of Tax, Ministry of Finance at the OpenGov Leadership Breakfast Dialogue in Jakarta. We had spoken to Mr. Djuniardi in January this year about mobility and e-billing. During the conversation, Mr. Djuniardi tells us about the innovative ICT behind the integrated Smart Card. Part of the innovation also lies in the pragmatic approaches adopted to solve practical problems such as the cost of issuing cards and multiple modes of authentication of citizens’ identity. The plan is to use it for multiple purposes from withdrawing money and paying bus fare to filing tax returns and claiming social security benefits. What are your areas of focus at the moment? This year we are developing a big data environment. We’ve been using big data analytics, but in a very small environment. Right now, we are only using ten personal computers with the open source Hadoop platform. We have successfully taken the first small steps on utilising big data. But now we want to use that environment to explore further, to improve enhance tax collections. We could potentially increase it by USD billions. So, we are trying to move to the larger environment, develop a uniform data warehouse architecture. We are also cleansing the data to maintain its integrity. It is an ongoing project. We have already implemented the e-tax invoice. Maybe in December we will use big data analytics, including predictive techniques to analyse the tax invoices. Around 300 thousand taxpayers out of a total of 30 million are using it. Can you tell us about major projects you are working on? We are developing an integrated Smart Card. The card can be used as a credential by the taxpayers in accessing our e-services, such e-tax invoice, e-filing and so on. We are developing the technology ourselves. The idea is to keep it flexible. Identity authentication is one of the primary challenges in that. We still don’t have a single ID. We are in the process of introducing a single ID, called e-KTP, an electronic version of the national ID number. It is being delivered by the Ministry of Home Affairs. There have been some issues because of which it is not being used by the whole of government. So, the approach we are taking now is to initially develop a Smart Card that will incorporate several different identifiers, electronic nationwide identification number, TIM, passport number and social security number. We have to make sure that the card is very secure. We have implemented the digital certificate for our e-tax invoice system and we are working to make the card highly secure. So, the Smart Card will be like a single channel of access for the taxpayers? Yes, that’s the idea. But initially we use it only for tax services first. We are collaborating with the banks. Taxpayers already have their bank cards, like ATM or e-money cards. We will merge the Smart Card functions into the bank card. It will be very expensive for the government to provide the cards. So, I use the bank for the card because they already have the ATM or e-money card. They are constantly increasing the capacity. We will enhance the bank’s card with our applications. Though they are very different from those of the bank, from the viewpoint of customers, you have only one card. It can be used to withdraw money, to pay bus fare and then to file tax returns, to claim social security and for using as a passport. The banks can also access the card, not only for money transactions but for authenticating the identity of their customers. By when are you planning to launch the Smart Card? The soft launch is planned for the first week of December, but it depends on our progress in incorporating the digital certification in the card. The latest would be the first quarter of next year. Once you successfully launch this, can its use be extended to other ministries? Yes. There is a Presidential Decree that obligates all the other ministries to use the National ID or tax information number before they serve the citizens. Once the card has been rolled out, I only have to share the backend of the application. The secure access models for the gateway are developed by me and I will give share them with other ministries. For the back end, it depends on them, there are a lot of numbers there, it depends on what identity they want to take. Because we include all the IDs in the package, the ministries and agencies don’t need to change their applications to read the citizens’ identity. They can take whichever identity they want to use: national ID, social security or tax identification number. It will be more efficient. We also heard about an ongoing tax amnesty programme. How is ICT involved in the tax amnesty application process? During the past six months, we have been working on the tax amnesty programme. It started in the second quarter and will end in March 2017. The tax amnesty is a critical national programme. We provide all the IT infrastructure and support. Security is very important here. We separated that database from the rest of our database. Tax amnesty is not just bout gathering the money. For it to work, we have to obtain the trust of the public. We had to develop secure, ready-to-use applications within two weeks after the regulations were stipulated. But fortunately, a year earlier, we had introduced Devops, agile methodology, as opposed to the old waterfall approach, in developing our applications. That helped in achieving the target. Do you have plans in place for scaling up IT? I don’t think we can increase our capacity without using cloud. Firstly, I would like to think about what kind of cloud technology to use, whether it’s a public cloud or private cloud. We are still analysing and choosing the right technology to be used for our cloud. Do you have concerns over security in using cloud? In the public cloud the infrastructure is shared. Maybe we can manage the security aspects but I also have to convince the management and allay their concerns over security. Traditionally any sharing of data or applications, has raised security concerns. So, we might have to choose the middle ground and opt for private cloud.